Google's powerhouse of an online office suite is great for creating documents, spreadsheets and presentations from any Internet-enabled device, but there's more to the platform than that. Here are three ways you can use Drive that don't involve boring ol' productivity. The same video technology that powers Google's video sharing portal also powers its cloud storage platform—any videos you upload to your Drive in compatible formats can be streamed straight from any browser using the familiar on-screen controls. It's a useful alternative to YouTube if you don't want to share your home movies with the world. There is the option to keep your YouTube videos private, but Drive's superior options for sharing and managing files mean you may well prefer the latter for storing those clips that don't need a public audience. Videos can be streamed or synced to your mobile devices too with the help of the official apps. One of the most useful features in the Google Drive app for Android is the ability to scan in documents using your device's camera. Point your phone or tablet at a receipt, press the shutter button, and in the space of a few seconds you'll have a PDF copy of it safely backed up in your Google Drive account. The quality is surprisingly good for most documents and you can crop the image if the app doesn't get it right first time. If you're drowning in a sea of paperwork then you can use Google Drive to help clear the decks and turn some or all of your documents into digital versions. A serious quest for a paperless workflow will require some organization, renaming and sorting in Google Drive itself, but once you start to get a system in place you should be able to add new scans fairly quickly. Thanks to the desktop clients that are available for Google Drive, you can easily sync any type of file up into the cloud without even having to think about it. Of course, you're going to need to purchase some additional storage, but with 1TB of room costing less than $10 a month (or one Spotify subscription) then you might consider the investment worth it for the extra peace of mind. 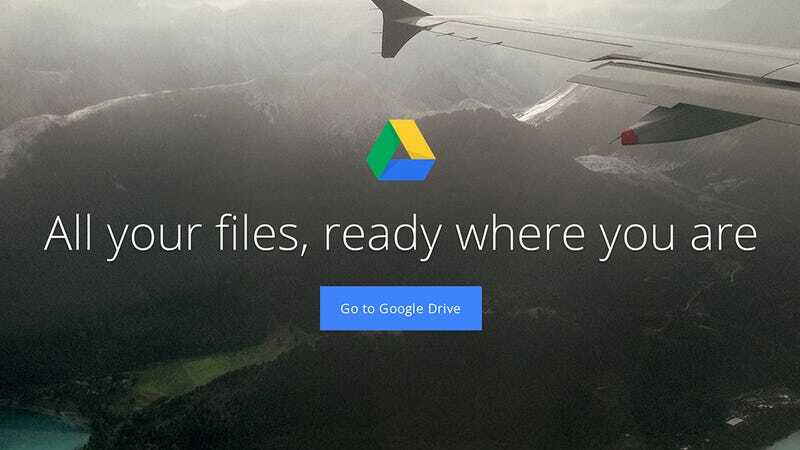 With the client installed, you can choose which files and folders are synced to your Google Drive account, where they can be accessed from just about anywhere (including your mobile devices). Remember that three copies of every file is much better than two copies, just in case you accidentally clear out both your computer and your cloud locker at the same time.